The severity of tinnitus can vary from individual to individual and even from day to day. While tinnitus is common, help is sometimes hard to find. At HearAgain Doctors of Audiology, Tinnitus Retraining Therapy (TRT) is available. There is no cure for tinnitus, but there are management options available. TRT has been shown as the most effective treatment of tinnitus to date. 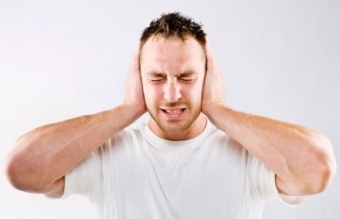 Noise exposure is one of the leading factors of tinnitus since continuous exposure to noise, without hearing protection, causes irreversible damage to the organ of hearing. The resultant hearing loss can often be treated with hearing aids which may also help lower or eliminate the tinnitus. Any noise that is over 85 dB1for 8 hours is damaging to your hearing. For this reason, wearing hearing protection such as properly fitted ear plugs or ear muffs help reduce the chance of hearing loss and tinnitus from occurring. Another strategy to reduce the risk of hearing loss is to reduce the amount of time spent in the hazardous, noise environment by taking periodic breaks away from the noise. Tinnitus may never go away completely, but for most individuals, there are ways to manage it. Protecting your hearing when in or around noise is the most preventable cause for tinnitus and hearing loss.